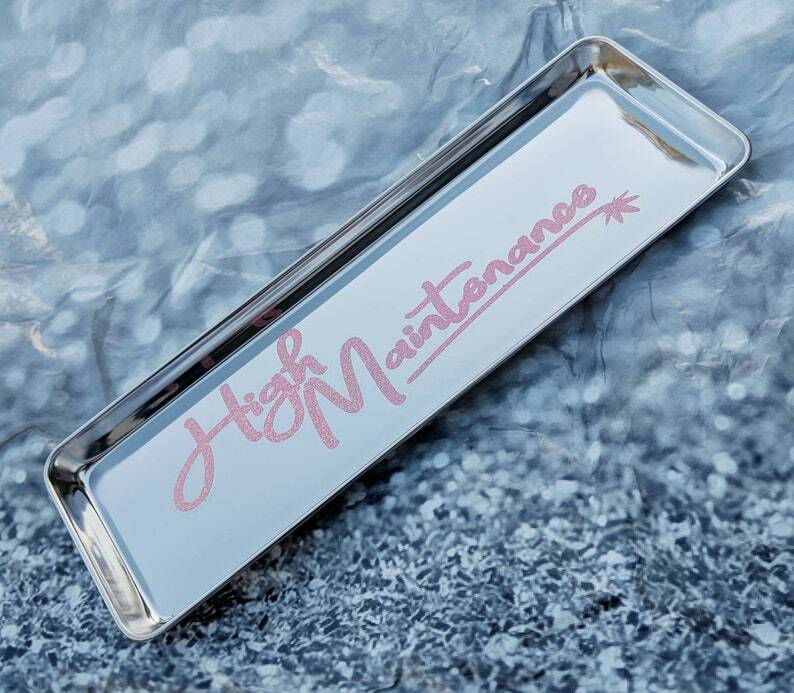 Exclusive Rolling Tray set in High Maintenance Design by Pretty Trippy shop. 1 stainless steel rolling tray, measuring 13 inches by 4 inches with deep rounded corners. Sturdy composition means it can handle your rolling session or your stash items with ease. Tray can be cleaned back to perfect condition with hot water and 99% alcohol. Such awesome products and high quality! Love my tray set! Great value! Thank you!